Candidates who have completed Graduation and wants to start their career in the Government Sector as an Assistant Station Master; they can apply for RRB ASM Recruitment 2018 from 4th April 2018 to 6th May 2018 through indianrailways.gov.in. As, rrb will publish ASM posts in all 21 religion. Here you can get the more details of Railway ASM Recruitment 2018 Notification; like Educational Qualification, Age Limit, Apply Online, Selection Process, Application Fee etc here. The Indian Railways Officials will announce the Notification to recruit the skilled people for 50000+ Assistant Station Master Vacancies 2018. 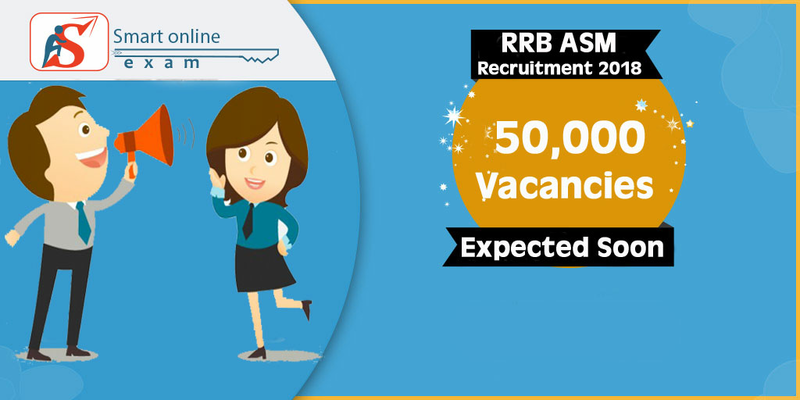 Railway Recruitment Board is providing the Jobs for all the interested and eligible candidates throughout India. This is the latest employment big good news for all the candidates waiting for the Central Government Jobs. Age relaxation is application as per RRB’s instructions.